With a team that features the likes of director Stephen Frears of ‘The Queen’ fame, and Steve Coogan who rarely ventures outside of the comic, you would probably be forgiven for thinking this could well be the mother of all-mismatches, and devolve in to a dreary, over-long mess. Happily, ‘Philomena’ is the exact opposite. With a plotline that’s based on a true story, it tells the tale of the titular character’s attempts to track down a child forcibly put up for adoption by a convent in which she was staying. 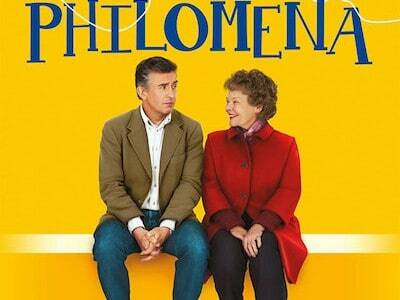 Philomena is fantastically portrayed by Dench, as she portrays her internal conflict and undying optimistic and forgiving attitude with a comic and heartwarming touch that reminds us just how good she is. She’s counteracted by a strong performance from Coogan as Martin Sixsmith, who has just lost his job as a civil servant and isn’t really looking forward to a role as a freelance journalist, where he has been told “human interest” stories rule the roost. Coogan’s sarcastic, bitter, uninterested performance of him is spot on, and the way the two characters work together on screen is a joy to watch, their interactions always sparky and interesting, touching and amusing. The writing, done by Coogan and Jeff Pope, is a massive aid to this chemistry, and it manages to be touching and astute without being offensive or too schmaltzy, and is really taken hold of by Dench, who embodies her characters’ every line. The writers deal with the true-story case admirably, utilising it to make something powerful and enriching. It juxtaposes the simple desire of Sixsmith simply to get back in the journalism business with Philomena’s conflicting longing for her son very well, as Sixsmith’s replies to her kind-hearted enquiries become more and more invested in her story, and increasingly aghast at the way she suffered at the hands of the Catholic Church, something Philomena herself is keen to dismiss first as punishment for her sins and then later simply as an attempt to give her son a better life. 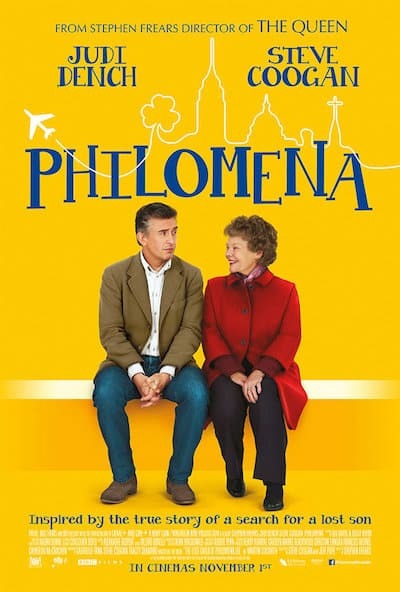 Indeed, ‘Philomena”s even-handed approach is to be commended and it manages to maintain its tone, by turns dryly humorous and always touching, even when in more intense scenes it has to deal with much darker matters, it does so with an even, assured hand and never loses its audience at all. Bolstered by great performances, and indeed Judi Dench could well be in line for a best actress nomination at both the Oscars and the BAFTAs with awards season being upon us, it’s a masterful creation and Frears’ best film yet, which really showcases his directorial ability. Definitely one of the best films of the year.